An instructional and crafty kit to make tiny little wonderlands in your garden. 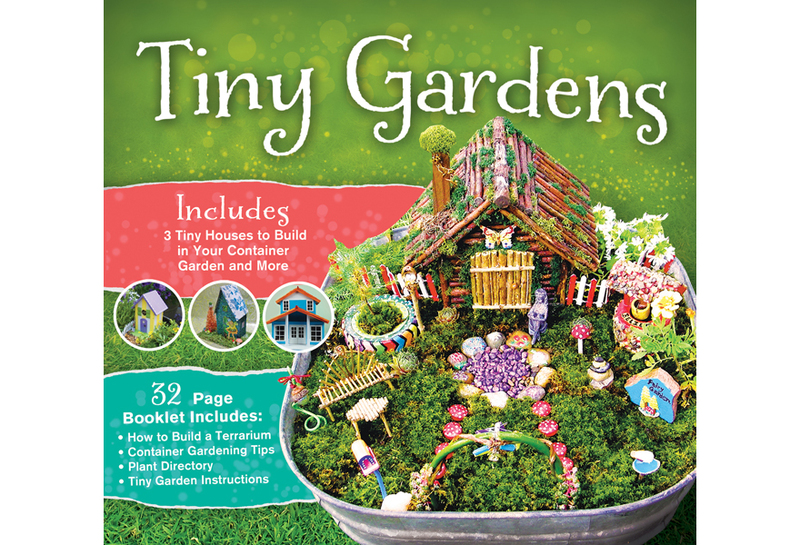 Comes with an instructional booklet that includes steps to constructing three different houses to put in your tiny garden, tips for making a terrarium, tips on container gardening, and an index of plants that are best to use. Comes with supplies to make three different houses for your garden. House pieces are printed on 6 different sheets of chipboard to be punched out and assembled according to the booklet’s instructions. 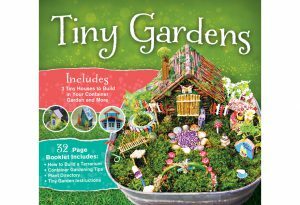 Includes high-definition photographs of different plants and step-by-step instructions to help you create a beautiful tiny garden.